Grab a surprise for you or your friend! 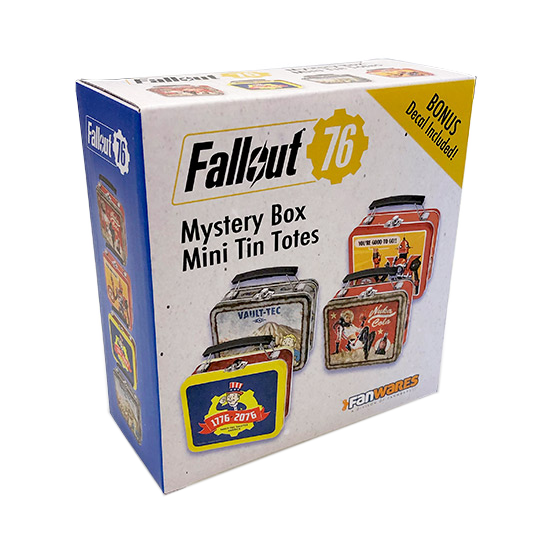 The mystery mini totes return and this time, it's all about Fallout 76. You don't know which of the 5 designs you're getting and we're not showing you the secret, 5th design either, so it's up to you to uncover the mystery. Each tote measures 14 x 11.9 x 5cm and comes with a unique decal. Manufactured by Fanwraps. Ordering this item gives you one (1) Mini Tote with a random design. A pre-selection is not possible.